- More of a studio project than a band, ARC ANGEL main man Jeff Cannata assembled a host of session playing buddies to create an extraordinary example of Pomp Rock that probably had more of an interest from European based import buyers than in the American market. The band was initially conceived alongside a project being put together by one David Wolff based around a Marvel Comics concept tentatively christened HUMAN FLY. Wolff had contacted Cannata to play drums. Growing up in Connecticut, Cannata had started bashing the skins in his early teens, finding himself in a band called JASPER RATH in 1976, by which time Jeff had taken up the guitar and would soon move on to keyboards, teaching himself to become a seriously accomplished, all-round musician. With the HUMAN FLY project failing to get off the ground, Wolff helped Cannata kick start ARC ANGEL by playing Jeff's demo tapes to Portrait Records' Lennie Petze who agreed that ARC ANGEL should be signed to the label. The resulting album was mixed and then remixed by Tony Bongiovi, much to Cannata's chagrin. Session bass on the album came from future BON JOVI man Hugh McDonald. CANNATA would not resurface until 1988 with his second album, although the ARC ANGEL tag had been dropped in favour of Jeff Cannata's own surname. Guitarist Jay Johnson formed part of the 1989 supergroup DEADRINGER for their 'Electrocution Of The Heart' album. Johnson worked in collusion with ex-TED NUGENT, VICTORY and HUMBLE PIE singer Charlie Huhn, former BLUE ÖYSTER CULT man Joe Bouchard and the erstwhile ALICE COOPER and BILLION DOLLAR BABIES rhythm section of bassist Dennis Dunaway and drummer Neal Smith. - Jeff Cannata and Michael Soldan had previously been in the popular Connecticut-based band Jasper Wrath. Cannata played drums and Soldan played keyboards; both composed most of the group's songs. After Jasper Wrath's demise in 1976, Cannata and Soldan continued writing songs together. Cannata started working with guitar and keyboards more in order to develop his songwriting abilities. In the early '80s, Cannata and Soldan presented some of their new compositions to the staff at CBS Records. CBS really liked what the duo were doing and they signed them for a record contract. The only problem was that there was no live band to perform the songs. Cannata and Soldan got the idea to record the album with a large group of session musicians, similar to The Alan Parsons Project. The self-titled debut was released in 1983. Jeff Cannata sang lead vocals and played guitar, bass, and drums, while Michael Soldan played keyboards and sang backing vocals. Included on the roster of session musicians were former Jasper Wrath bandmates James Christian and Jeff Batter, as well as keyboardist Jeff Bova and bassist Hugh McDonald. The album became a huge hit in Europe. A music video for the song "Tragedy" was also filmed and showcased on MTV. The video featured Cannata on lead vocals and guitar, Michael Soldan on keyboards, and local Connecticut band Cryer as the backup band. Cryer consisted of Jay Jesse Johnson on guitar, Steve Shore on bass, and Jeff Zajac on drums. 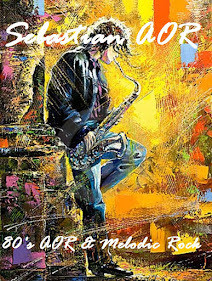 - This is another of those albums which makes an immediate impression with melodic rockers everywhere. It’s still recognized as one of the more bombastic AOR release of the genre and appealing due to the vocal overdubs, generous keyboards and crisp drums. 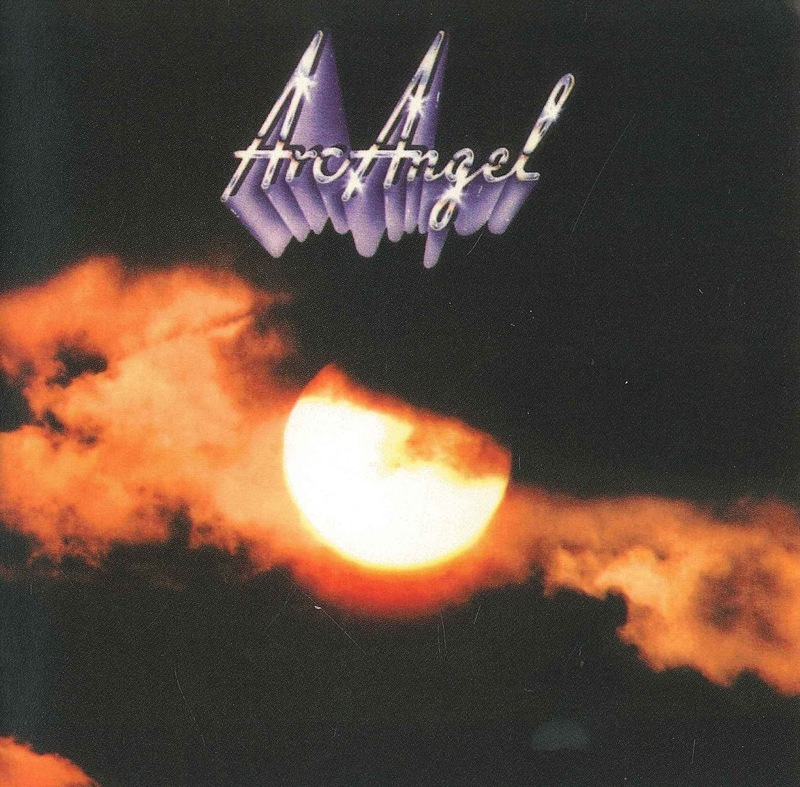 Arc Angel (Arch Angel) released one sprawling record of bombastic and brilliant album rock in 1983 and then flew back into the heavens. Jeff Cannata sang lead vocals and played guitar, bass and drums, while Michael Soldan played keyboards and sang backing vocals. Included on the roster of session musicians were former Jasper Wrath bandmates James Christian and Jeff Batter. Cannata writes the music and handles the lion’s share of the duties on the assured, eponymous debut. New York, keyboard whiz Jeff Bova of Distance contributes some Baroque flourishes, and April Wine later covered an undiscovered Arc Angel gem. The album mixes enigmatic and melodic passages, coupled with the progressive influenced feeling. Lyrics that speak of love, excitement, thoughts, etc… Jeff uses elements that can stir your imagination in music. The gleaming and shining opener “Stars” ponders life and dreams with a hot Bolero chaser while the illicit “Tragedy’ is a great she’s-too-young song. This one-two punch sets a tough standard, but the album’s energy stays strong. Luckily, cosmic tones and crisp production triumph over classic 80s killer electronic drums and chirping keys. April Wine later covered “Wanted: Dead or Alive”, a dust-kicker that treads familiar ground (in addition to Bon Jovi and Journey thumpers, how many DOA songs prowled the 80s). The majestic instrumental “Before The Storm” having a touch of grace continuing in “Sidelines”, which shows the inherent yearning in Cannata’s vocals. The keys on this song are so hot, to die for. Arc Angel sounds similar to Orphan’s debut, Lonely at Night, but where that record takes the curves, Arc Angel flies straight. Cannata pulls the reigns on progressive tendencies, keeping the tunes tight. The refreshing “Just Another Romance” dumps the keys, quotes Badfinger, and comes out completely memorable. Realistically, only a faceless power ballad would have broken these guys, so it’s just as well Arc Angel disappeared, leaving behind this charming artifact of craftsmanship and poise. - I read the review of this album back in 1983 when it first came out. If I recall, the reviewer said.. 'Jeff Cannata sounds like he's been locked in a room with a crateful of Kansas albums!' or something to that effect. In fact he even said it sounded like the 3rd Boston album. Well as time would have it, some twenty plus years after the event, some of the comparisons haven't quite rung true. However, what we do agree on, is that it's still recognised as one of the more bombastic AOR releases of the genre and appealing due to the vocal overdubs, generous keyboards and crisp drums. For me, Arcangel has more of a Aldo Nova type sound, with Jeff's vocals heading down Jon Anderson (Yes) alley. That's fine by me. Cannata a native Connecticut resident cut his teeth with the unknown semi-prog 70's outfit called Jasper Wrath, featuring that other AOR celebrity James Christian. However, with this project the prog approach has definitely been dropped in favour of amazing AOR. The session lineup has got quality on it: Jeff Bova the NY keyboard god (also of Distance) puts in some great ivory tinkling. Keyboard bombast of the sort that Gregg Giuffria would be proud of is the prelude to the opening track 'Stars'. There are some wonderful moments on 'Tragedy', strutting guitar and stabbing keyboards through the choruses. 'Wanted Dead Or Alive' is particularly good, where the keyboards sound similar to the stuff off Dakota's 'Runaway' opus. As an aside, April Wine did a cover of this song on their 'Walking Through Fire' album. The ballad 'Used To Think I'd Never Fall In Love' is poignant enough but doesn't do a great deal for me, whereas 'Rock Me Tonight' bares some hard rock teeth. The interlude 'Before The Storm' is a great bass laden instrumental which leads us into two of the highlights of the album for me: 'Sidelines' which has some spectacular sound effects in it, and the wonderful poppy and melodic 'Confession'. The bombast continues with 'Just Another Romance' and the epic sounding 'King Of The Mountain'.